I first visited Austin, Texas when I was 14. My family and I tailgated at a University of Texas football game, people-watched, and had some tacos. I was hooked. The city is so welcoming and weird that anyone can feel at home here. That’s why I decided to move to Austin after graduating college. I wasn’t alone; hundreds of people move to Austin each day. Want to see what all the hype is about? I don’t blame you. 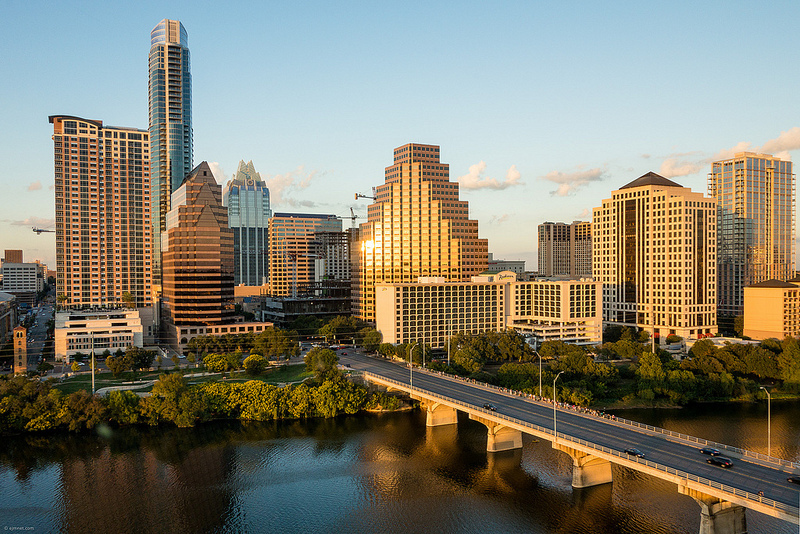 From sunny weather to live music, food truck parks to paddleboarding, Austin seems to have it all for a fun getaway. The city is huge, and there’s so much to do, so where do we start? 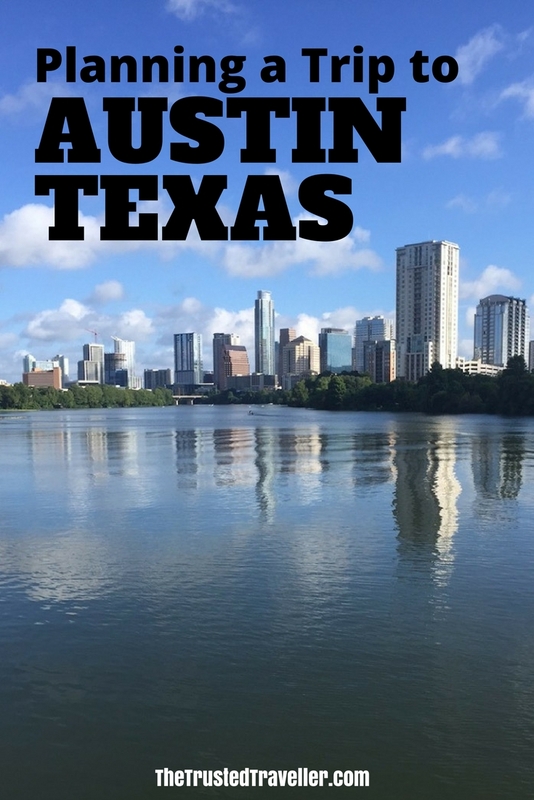 Let me give you a look into my favorite things to do around Austin, Texas. Austin is pretty spread out, and unless you have experience navigating the public transportation systems in different cities, I would opt out of Austin’s. The buses aren’t that fantastic if you want to see everything. If you want to stick to downtown, I would certainly hop on a bike that you can rent around the city. 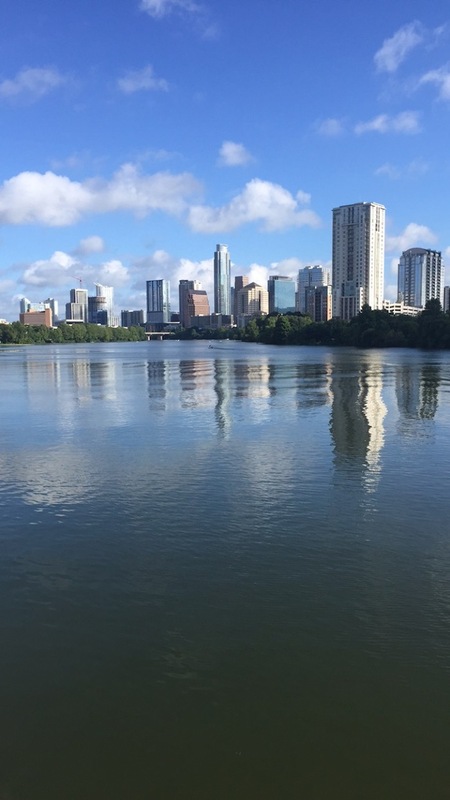 There are bike trails that you can access from downtown that will take you along the river and to Barton Springs! Sure, Uber and Lyft are available in Austin…now. Without going into details, their recent return to the city has brought some controversy and contention among locals. If you would like to use an alternative form of rideshare transportation, check out RideAustin. The nonprofit will cost a little more, but you can be sure that all of the drivers are paid fairly. Plus, the “round up” option allows you to donate a few coins to local Austin and Texas charities. Ladies can opt for a “female driver only” option as well, which I don’t always use, but certainly appreciate. Earplugs – Even if you don’t plan on seeing any live music, it’s hard to avoid in Austin. Bring earplugs if you have sensitive ears or young children in tow. Bug Spray – I love Austin, but the mosquitos are a different story. You’ll be hanging out by the water at some point, so make sure you take the right precautions. Fully Charged Camera – Austin has tons of sweet and fun murals throughout the city. If you want to create some art of your own, grab a spray can and visit the Graffiti Park at Castle Hill. The graffiti park allows you to add your own art. Visit at the beginning and end of your trip…it won’t look the same! It rarely gets below freezing in Austin, so I wouldn’t say there’s a particularly awful time to be in Austin. Do know that July and August get HOT. Book your flight for the spring or fall, but be aware of when Austin’s big events are going on…prices skyrocket. 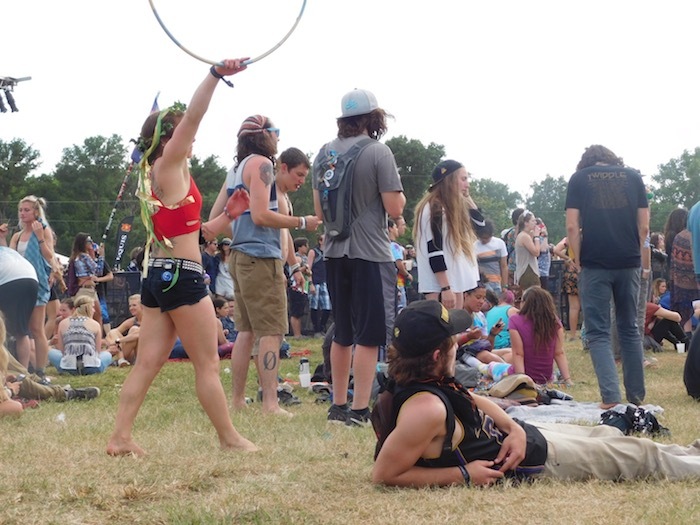 Austin City Limits is usually the last weekend in September and the first weekend in October. SXSW runs throughout the first two weeks of March. 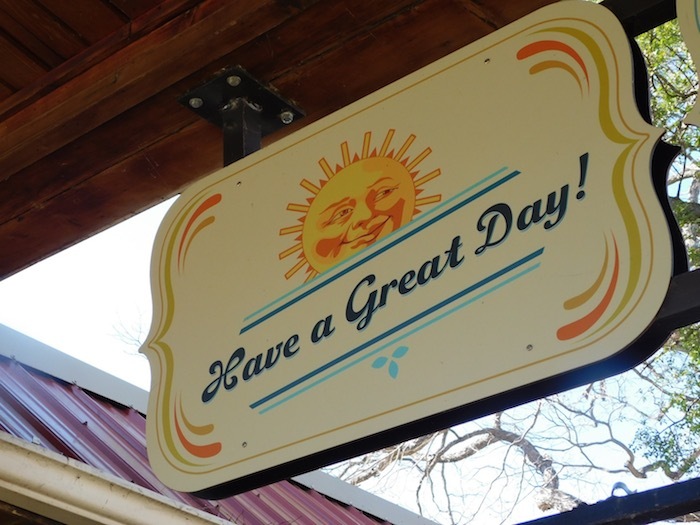 If you’re looking for a fun hostel experience, you’ve got some options in Austin. I’ve personally stayed at Drifter Jack’s and had a great time, but I’ve also heard good things about Hostelling International Austin as well. DJ is right on UT’s campus, around some shopping and food. HI is right next to a stand up paddleboard rental and is on the lake. AirBNB is also an option, and luckily, there’s not really one area that I would consider “unsafe.” East Austin is still up-and-coming, but I lived around there for a spell and had no problems. Rather than safety, consider the distance from the attractions you want to see. Austin has great museums, nightlife, and dining, but what I think makes Austin unique is the preservation of green spaces throughout the business of the city. Barton Springs is just a quick bike ride away from downtown. The natural springs allows you to lay on the grass, take a dip in the pool (which is always around 70 degrees!) and maybe hear some drum circles or acoustic tunes now and again. Right next door is the entrance to the Barton Creek Greenbelt, which provides a few miles of easy hiking, cool water for dipping your toes, and a nice escape from the city. “Greenbelts” can also be found in other areas of the city. 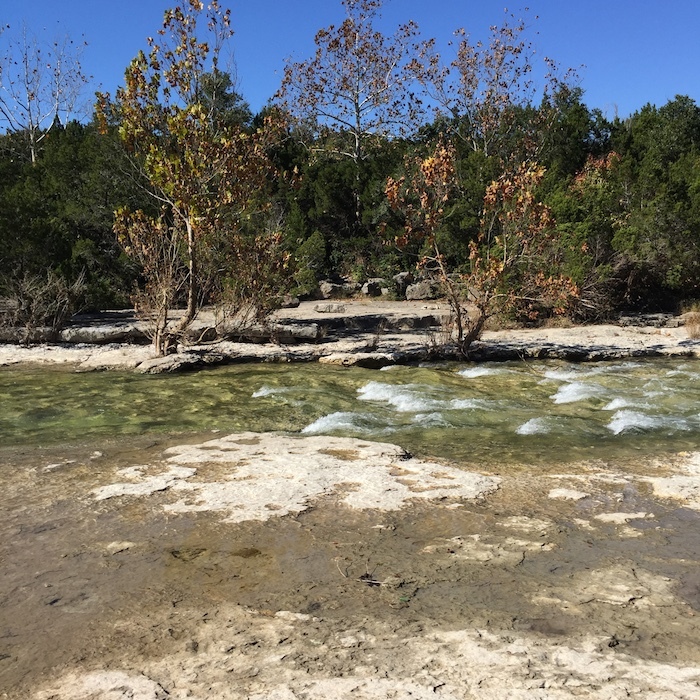 If you want to enjoy more easy hikes around Austin or take a day trip out of the city, make a plan to visit McKinney Falls State Park, Mount Bonnell, or Enchanted Rock. If you’re at Barton Springs, you may notice a group of people doing crazy acrobatic stunts, lifting each other up, and doing yoga on each other’s feet. Acro yoga is really a site to see, and the acro community in Austin is everywhere. Acro yoga groups in Austin like Acro for All and AcroYoga Austin Jams have Facebook pages that will let you know when the next meetups are. The events are free, and will certainly give you a new way to work out! 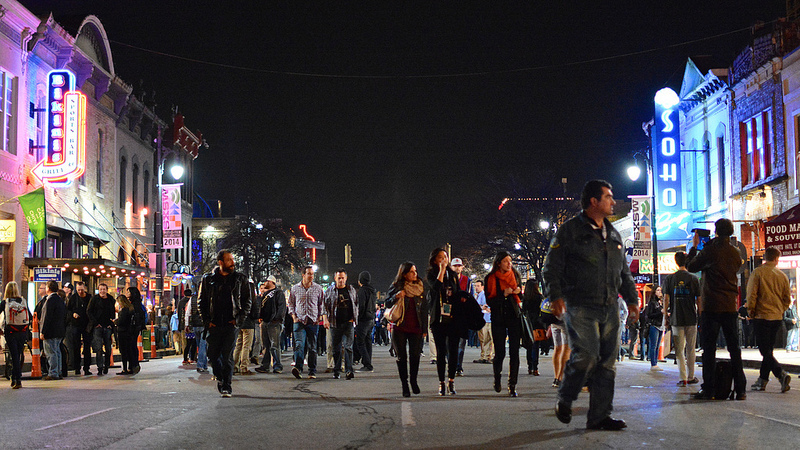 South Congress allows you to check off pretty much every tourist spot or activity in Austin. This area of town has food trucks, local vendors, your favorite brands, and the “i love you so much” graffiti (at Jo’s Coffee. Grab the Belgian Bomber). At night, you can hang out on the bridge and watch hundreds of bats fly over the lake. West Sixth – If you are looking to blow some cash and meet Brian, who’s startup is just about to launch, here is his business card and his phone number, then you go to West Sixth. The area has some fun bars if you don’t want the chaos of Dirty Sixth but still want to get a little wild. It’s a good middle ground. “Dirty” Sixth – Does it need an explanation? So Dirty is the area that is most commonly known as Sixth Street. A few blocks are blocked off on Friday and Saturday nights so college students and tourists can freely stumble between dozens of bars and eat pizza wherever they please. If you want to drink a lot of alcohol, or enjoy quite the night people watching, hit up Dirty Sixth. East Sixth – If you keep walking east, you’re going to hit the highway, but there are even more bars on the other side. This area is typically referred to as East Sixth, and is where you’ll find more locals. The bars are divey and there is typically more live music that doesn’t consist of cover songs. It’s possible to walk to bars like Hotel Vegas and Shangri-La from Dirty, but it will take a bit and I don’t recommend it in heels. Even with the mass migration from Silicon Valley to Austin, you can certainly find classic Texas moments in the city. If you want to get on your dancing shoes and get a little country, head to the White Horse Saloon. If you’re looking for other classic venues for two-stepping, be sure to check out the Continental Club and the Broken Spoke. Rainey Street is another street that’s lined with bars, but isn’t blocked off like Dirty. If you want a good craft beer, would like to pet a dog, and want to enjoy some quirky bars, head to Rainey Street. 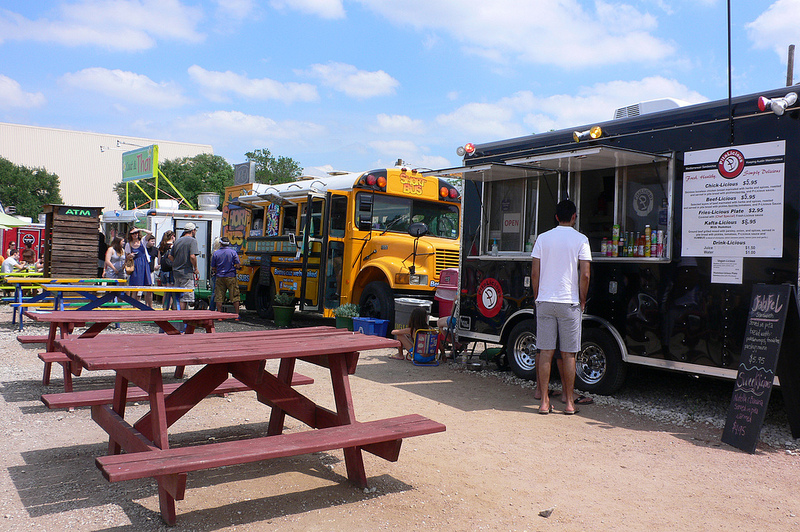 There’s also a good amount of food trucks around here; I took a Couchsurfing guest through Rainey Street, and we tried every taco place we could find (every bar would be impossible.) Austin is known for its tacos, so be sure to grab them! Good eats, good music, and overall good times. I hope you enjoy Austin, Texas, as much as I did when I lived there! Megan Okonsky is a yogi, traveler, and general promoter of happy feelings. 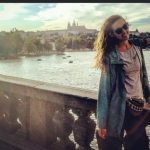 Her blog, Beat, Broke, Backpacking, follows her journey backpacking to Southeast Asia with a new yoga teacher certification and no return ticket. You can follow her on Facebook and Instagram. 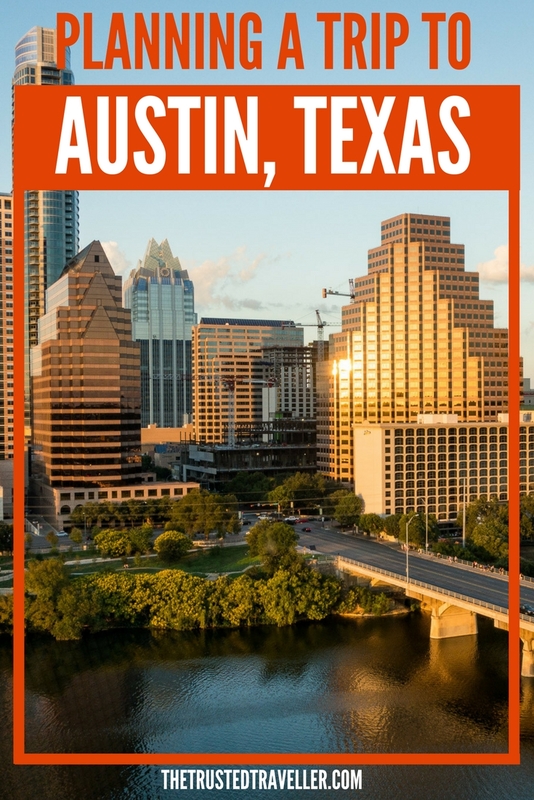 What are you most interested in seeing and doing in Austin? I appreciate your sharing. Austin is a best destination for visit as travelling point of view and tourists can enjoy some time with mates. I also spent a really good time there with my whole family during my last summer holidays. I would love to go there again if I get any chance. Thanks Gregory. I hope you get to visit Austin again.